Some Wikipedians consider Wikidata inferior, so much so that they agitate towards a policy that bans Wikidata in "their" Wikipedia. They are welcome to their opinion. I do bulk imports from Wikipedia and all the time I suffer the consequences. Some three to four percent of their data is wrong for all kinds of reasons, reasons that are manageable with proper tooling. 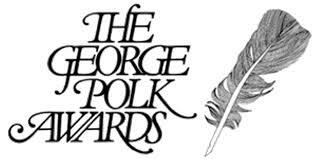 The George Polk Award is an award for journalism and it got my attention again because the International Consortium of Investigative Journalists received it for their work on the Panama Papers. I noticed that many people listed who had been awarded the Polk Award did not have articles in Wikipedia, that many of the link in the list of award winners pointed to the wrong person and that many award winners did not even have a "red link". I am in the process of checking all the links and adding the date for the award. I found many issues among them a civil war general and many others false friends. I am adding items for the people who do not have an English article and, I have to check each of them because several do have articles in other languages. It is a lot of work and it is not as useful as it could be because Wikipedia hates Wikidata and we do not collaborate, we do not work together. Why do this, why spend so much time on one big list? Well, in this day and age of "fake news" we should celebrate journalism but having all this information in Wikidata allows for all kinds of tools as well. We can check for false friends, we can check if the articles on the award winners include the award but also if there are "winners" who are not known in this list and in the source available for the George Polk winners.. I am not a Wikipedian and truthfully I hate the endless and senseless bickering that is going on. So let me work on the data, make it available to tools. Now you Wikipedians, you may choose not to show Wikidata data in your infoboxes but you will not make your errors go away without collaboration. Yes, you can quote a source but when your data is not in line with what the source states, having a source does not do you good, effectively you provide fake information. My request to the reasonable people at Wikipedia and Wikidata, let us work together and see how we can improve quality. 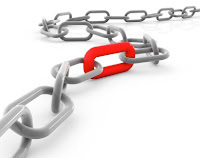 Lets link wiki links (blue, red and black) to Wikidata and improve the quality of what is on offer first.